Maucherite: Mineral information, data and localities. 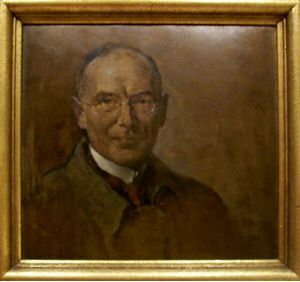 After Wilhelm Maucher (1879-1930), mineralogist and mineral dealer, Munich, Germany. 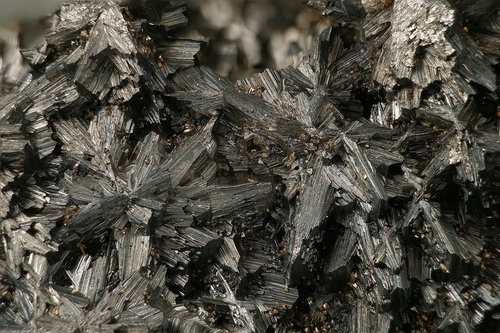 This page provides mineralogical data about Maucherite. Nickeline 12 photos of Maucherite associated with Nickeline on mindat.org. Chalcopyrite 7 photos of Maucherite associated with Chalcopyrite on mindat.org. Gaspéite 5 photos of Maucherite associated with Gaspéite on mindat.org. Baryte 4 photos of Maucherite associated with Baryte on mindat.org. Gersdorffite 4 photos of Maucherite associated with Gersdorffite on mindat.org. Skutterudite 4 photos of Maucherite associated with Skutterudite on mindat.org. Safflorite 4 photos of Maucherite associated with Safflorite on mindat.org. Galena 2 photos of Maucherite associated with Galena on mindat.org. Cubanite 2 photos of Maucherite associated with Cubanite on mindat.org. Valleriite 2 photos of Maucherite associated with Valleriite on mindat.org. Grünling, F. (1913): Maucherit Ni3As2, ein neues Nickelmineral aus den Kobaltrücken des Mansfelder Kupferschiefers.- Centralblatt für Mineralogie, Geologie und Paläontologie, 225-226. Palache, Charles, Harry Berman & Clifford Frondel (1944), The System of Mineralogy of James Dwight Dana and Edward Salisbury Dana Yale University 1837-1892, Volume I: Elements, Sulfides, Sulfosalts, Oxides. John Wiley and Sons, Inc., New York. 7th edition, revised and enlarged, 834pp. : 192-194. American Mineralogist (1973): 58: 203-210. Makovicky, E. and Merlino, S. (2009): OD (order-disorder) character of the crystal structure of maucherite Ni8As11 [sic]. 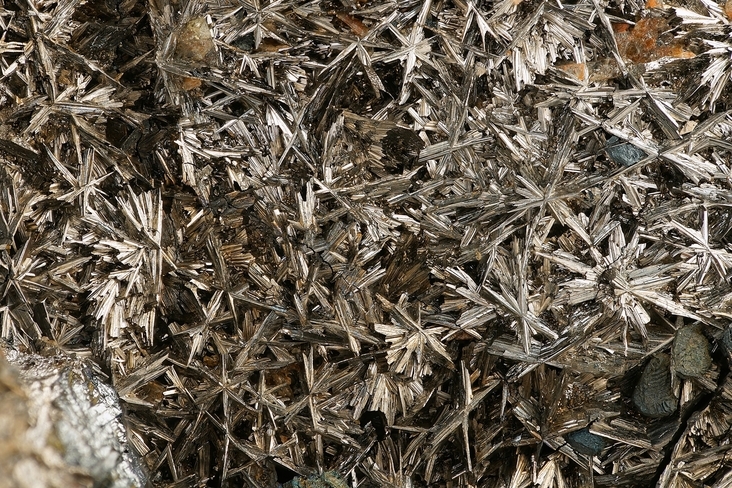 European J. Mineralogy 21, 855-862. Gritsenko, Y.D., and Spiridonov, E.M. (2008): Maucherite from metamorphic–hydrothermal assemblages of the Noril’sk ore field. Geol. Ore Deposits 50, 590-598. The following Maucherite specimens are currently listed for sale on minfind.com. de Brodtkorb, M. K. (1973). Estudio de la mineralización del yacimiento La Niquelina, prov. de Salta, y un análisis comparativo de sus posibles relaciones con los depósitos Romicruz y Esperanza. Revista de la Asociación Geológica Argentina, 28 (4): 364-368. Bottrill & Sorrell 2007; Keays, R. R., & Jowitt, S. M. (2013). The Avebury Ni deposit, Tasmania: A case study of an unconventional nickel deposit. Ore Geology Reviews, 52, 4-17. R. Exel: Die Mineralien und Erzlagerstätten Österreichs (1993); Pribitzer, F. (1956): Die Minerallagerstätte Zinkwand bei Schladming in Steiermark (Österreich). Aufschluss, 7 (3), 59-63. Can Min 6:555-575; Hawley, J.E. & Stanton, R.L. (1962): The Sudbury ores: their mineralogy and origin. Part II. The facts: The ores, their minerals, metals and distribution, Canadian Mineralogist 7, 30-145. Canadian Mineralogist (1974): 12: 275-279. Petruk, W., Harris, D.C. & Stewart, J.M. (1969): Langisite, a new mineral, and the rare minerals cobalt pentlandite, siegenite, parkerite and bravoite from the Langis mine, Cobalt-Gowganda area, Ontario. Canadian Mineralogist 9, 597-616. Ann P. Sabina (1974) Rocks and Minerals for the Collector: Cobalt-Belleferre-Timmins; Ontario and Quebec. Canadian Geological Survey Paper 73-13; Satterly, J. (1977) A Catalogue of the Ontario Localities Represented by the Mineral Collection of the Royal Ontario Museum; Ontario Geological Survey Miscellaneous Paper MP70,464p. Dana 7:I:193-194.; Mineralogical Magazine 1940 25 : 557-572.; Ann P. Sabina (1974) Rocks and Minerals for the Collector: Cobalt-Belleferre-Timmins; Ontario and Quebec. Canadian Geological Survey Paper 73-13; Satterly, J. (1977) A Catalogue of the Ontario Localities Represented by the Mineral Collection of the Royal Ontario Museum; Ontario Geological Survey Miscellaneous Paper MP70,464p. Mineralogical Magazine 1940 25 : 557-572.; Tarassoff, P. (1994). "Famous mineral localities: The Orford nickel mine, Québec, Canada." 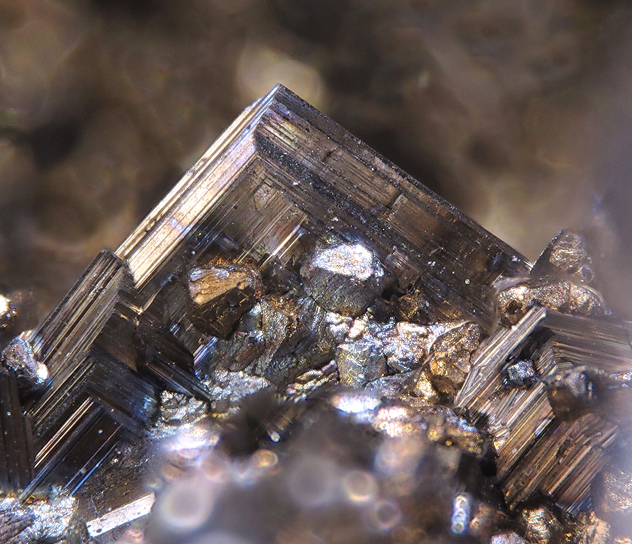 Mineralogical Record, 25(5),pp:327-345. Yang, X.-Z., Ishihara, S., and Zhao, D.-H. (2006): Mineralogy and Petrology 86 (1/2), 109-128. Foose, M. P., Economou, M., & Panayiotou, A. (1985). Compositional and mineralogic constraints on the genesis of ophiolite hosted nickel mineralization in the Pevkos Area, Limassol Forest, Cyprus. Mineralium Deposita, 20(4), 234-240. Stanislav S. Gornostayev, Kauko V.O. Laajoki & Ossi Leinonen (2000) The platinum-group minerals in the Kemi chromite deposit, Finland: a case study of the Elijärvi ore body. In Abstract volume and Field trip Guidebook, 2nd annual GEODE-Fennoscandian shield field workshop on Palaeoproterozoic and Archean greenstone belts and VMS districts in the Fennoscandian Shield (Vol. 28). Geological Survey of Finland 2008. Keivitsa - NICKEL Database; Törmänen, T. and Iljina, M., 2008. The Kevitsa intrusion and associated Ni-Cu-PGE deposit. in Ojala, J. and Iljina, M., (eds.). Metallogeny and tectonic evolution of the Northern Fennoscandian Shield : field trip guidebook. 33 IGC excursion No 15, August 15th – 21st 2008., pp 58-66.; Lamberg, P., Välimaa, J., Parkkinen, J., & Kojonen, K. (2005). Structural, geochemical and magmatic modelling of the early Proterozoic Keivitsa Ni-Cu-PGE deposit in Sodankylä, northern Finland. Extended Abstract. In 10th International Platinum Symposium, Abstract volume. ; Gervilla, F., Kojonen, K. and Merkle, R.K.W., 2005. Platinum-group minerals in the Proterozoic Keivitsa mafic-ultramafic intrusion, Sodankylä, northern Finland. Extended Abstract, 10th International Platinum Symposium, Abstract volume; Ojala V.J., Weihed P. Eilu P. and Iljina, M. (Eds) 2007. Metallogeny and tectonic evolution of the Northern Fennoscandian Shield: Field trip guidebook. Geological Survey of Finland, Guide 54, 98 pages, 52 figures and 7 tables. Papunen, H., 1985,The Kylmäkoski Nickel-Copper deposit. Geological Survey of Finland bulletin 333.; Gervilla, F., Papunen, H., Kojonen, K., & Johanson, B. (1998). Platinum-, palladium-and gold-rich arsenide ores from the Kylmäkoski Ni-Cu deposit. Mineralogy and Petrology, 64(1-4), 163-185. Fukuoka & Hirowatari (1980) Science Reports of the Faculty of Science, Kyushu University (Geology), 13, 239-249. El Ghorfi, M., Melcher, F., Oberthür, T., Boukhari, A. E., Maacha, L., Maddi, A., & Mhaili, M. (2008). Platinum group minerals in podiform chromitites of the Bou Azzer ophiolite, Anti Atlas, Central Morocco. Mineralogy and Petrology, 92(1-2), 59-80. Janković, S.R. (1993): Metallogenic features of the Alšar epithermal Sb-As-Tl-Au deposit (The Serbo-Macedonian metallogenic province). Neues Jahrbuch für Mineralogie, Abhandlungen 166, 25-41; Boev, B., Stojanov, R., Denkovski, G. (1993): Geology of Alshar polymetallic deposit, Macedonia. Geol. Maced., 7, 35-39. Sorokina, E. S., Rassomakhin, M. A., Nikandrov, S. N., Karampelas, S., Kononkova, N. N., Nikolaev, A. G., ... & Kotlyarov, V. A. (2019). Origin of Blue Sapphire in Newly Discovered Spinel–Chlorite–Muscovite Rocks within Meta-Ultramafites of Ilmen Mountains, South Urals of Russia: Evidence from Mineralogy, Geochemistry, Rb-Sr and Sm-Nd Isotopic Data. Minerals, 9(1), 36. Gritsenko, Y.D., and Spiridonov, E.M. (2008): Geology of Ore Deposits 50(7), 590-598.; Murzin, V. V., Chudnenko, K. V., Palyanova, G. A., Varlamov, D. A., Naumov, E. A., & Pirajno, F. (2018). Physicochemical model for the genesis of Cu-Ag-Au-Hg solid solutions and intermetallics in the rodingites of the Zolotaya Gora gold deposit (Urals, Russia). Ore Geology Reviews, 93, 81-97. Gritsenko, Y.D., and Spiridonov, E.M. (2008): Maucherite from Metamorphic–Hydrothermal Assemblages of the Noril’sk Ore Field. Geology of Ore Deposits 50(7), 590-598. Pavel M. Kartashov data; Antonov A.A. [Антонов А.А.] (2003): Mineralogy of rodingites of the Bazhenovsk ultrabasic massif [Минералогия родингитов Баженовского гипербазитого массива]. Nauka, Sankt-Peterburg, 129 pp. (in Russian). ⓘ Marbella Mine (Honda Mine) ? Calvo, M. (2003). Minerales y Minas de España. Vol.2 Sulfuros y Sulfosales. Diputación Foral de Alava. 705 pages. Vajdak, Josef (2006) Mineral News: 22: 11. Gervilla, F., Gutiérrez-Narbona, R., & Fenoll-Hach-Alí, P. (2002). The origin of different types of magmatic mineralizations from small-volume melts in the lherzolite massifs of the Serranía de Ronda. Boletín de la Sociedad Espanola de Mineralogía, 25, 79-96. Brian Craik-Smith collection; Harrison, R.K. (1975) Bulletin of the Geological Survey of Great Britain, 52, 15.; Embrey, P.G. (1978) Fourth supplementary list of British minerals. Mineralogical Magazine, vol. 42, n° 322, 169-177.; Kemp, A.J., Palmer, M.R., and Ragnarsdottir, K.V. (1994) The uranium-thorium and rare earth element geochemistry of reduction nodules from Budleigh Salterton, Devon. Proceedings of the Ussher Society, Volume 8, Part 3, 214-218.; Article in the Russell Society newsletter (2000). Gornostayev, S.S., Laajoki, K.V.O., and Popovchenko, S.E. (2002): The chromitites of the Kapitanov deposit, Ukrainian Shield. Presented at the 47th Annual GAC-MAC meeting, Saskatoon, Canada. Smith and Barnes (2011) Pennsylvania Geology Fall/Winter 2011; Smith and Barnes (2011) Pennsylvania Geology v. 41, no. 3/4. ⓘ Cedar Hill Quarry (Stoltzfuss Quarry) ?